Mathematics is a great way to teach problem solving skills, right and wrong, true and false, faith and obedience, self governance using correct principles. In the Hebrew psychology model, the development of these skills fall in the category of "mind". Math provides an opportunity to students to discover how God creates order in the universe with numbers, patterns, and geometric shapes. As students apply the garden allegory to the study of mathematics, they will also learn to self-govern. Mathematics is an exact science where students learn how to apply correct mathematical principles to achieve consistent and reliable results. This practice can be carried over into other areas of life as students discover true principles they can depend on to yield consistent results as they are applied correctly. There is harmony, safety, and protection in submission to proper principles and authority. Math becomes a vehicle in which students learn to exercise faith in and apply obedience to correct principles. ​The study of mathematics is a wonderful avenue for teaching symbology, one of the five elements of a heart-based education. Symbology is a key for helping children to become independent learners and thinkers. Every number, math symbol, and geometric shape has deeper meaning and becomes a key to discovering correct principles in nature and in life. A Beginner's Guide to Constructing the Universe by Michael Schneider is a great resource to begin your discovery of the symbology behind numbers and geometric shapes. We provide course road maps with interactive tutorials for the Singapore Method of mathematics. We have selected Singapore math because it receives excellent reviews, is reasonably priced, and incorporates teaching methods consistent with the garden allegory principles. This allows us to demonstrate how the five points of learning can be used in a math program. 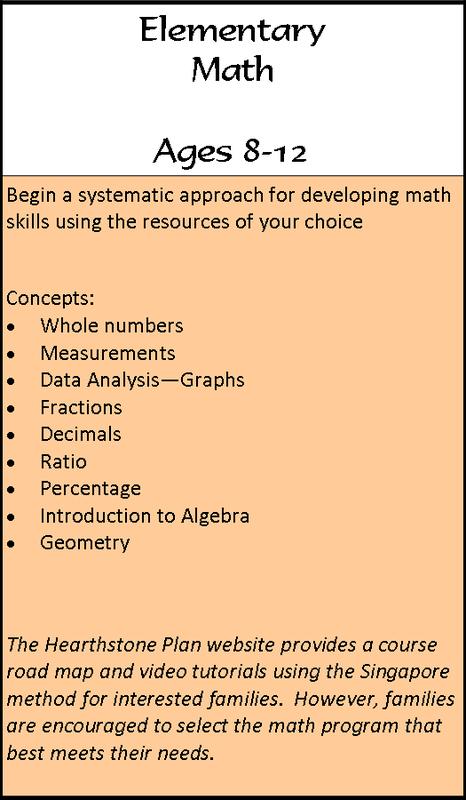 We recognize that their is not a one-size-fits-all program for math and so we provide links to several math resources and encourage parents to select the best option for their children. Mathematics is used is so many areas of our lives. 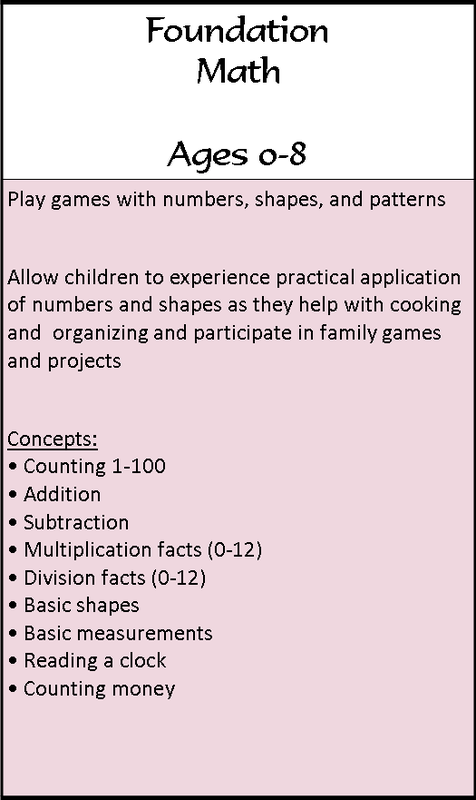 Parents have the opportunity to teach many math principles by using stories, games, and everyday experiences. 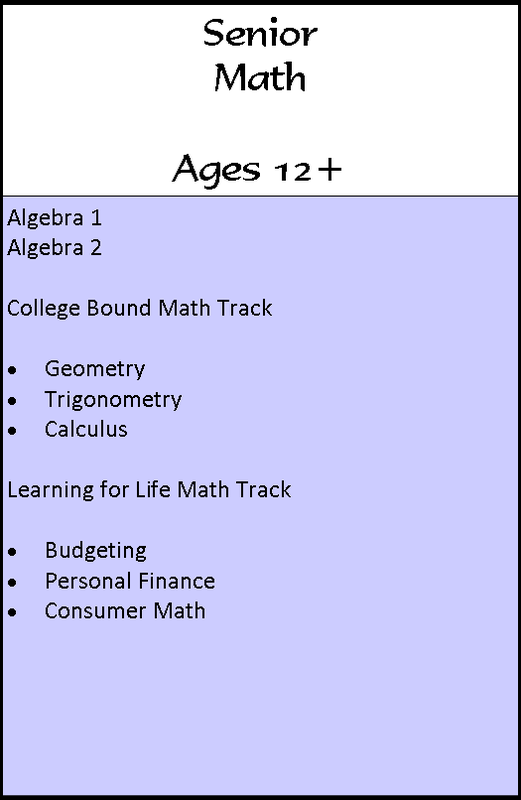 The two blog posts below offer some great ideas from TJed parents who teach math without a formal curriculum.